The snow is melting down and Easter is coming! A thin layer of snow is still covering the tops of the hills, but Spring is getting closer, and so is Easter! The workshop La Vecchia Faenza – Laura Silvagni suggests you a nice walk in the city center of our beautiful town, which will delight you with its many works of art. 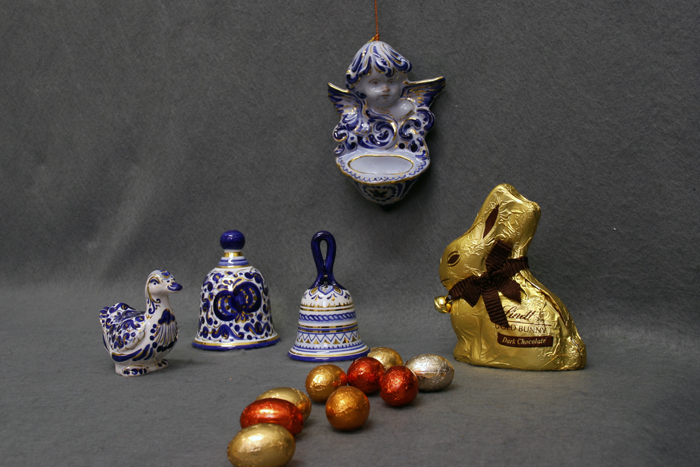 Come and visit our wide exposition and our workshop, where you will find many hand made ceramics to decorate your home. Here you have some images of small gift ideas. 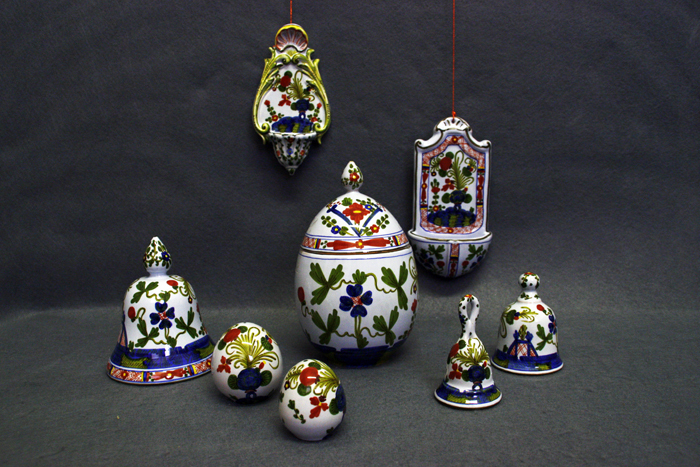 The “Garofano” style, typical of the 17th century, is the synonim of Tradition in Faenza, and is particularly suitable to decorate bells, eggs and holy water stoups. For those who love a modern and rich style, we propose the Melograno style. With its golden strokes, it embellish even the simple shapes. 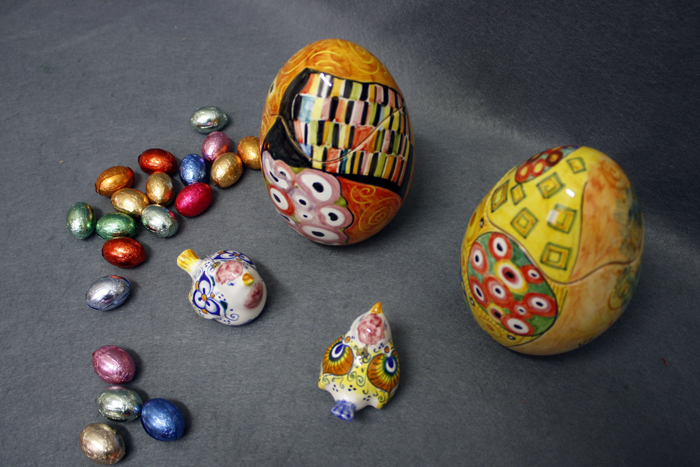 Finally, we hope to satisfy also those who love painting with our Eggs inspired by great artists such as Gustav Klimt and Van Gogh.